Is a ‘Harry Reid Principle’ at work RE: Kavanaugh? Only after the bad circus Senate Judiciary committee hearings with Supreme Court nominee Judge Brett Kavanaugh seemed to not derail his confirmation did shocking allegations about something that allegedly happened more than 30 years ago surface, in what many believe is a last-ditch effort to prevent the judge from becoming a justice. Now is a good time to recall an interview with now-retired Sen. Harry Reid, the Democrat who made allegations on the Senate floor about former GOP presidential candidate Mitt Romney not paying taxes for several years. The interview was with CNN’s Dana Bash, who asked him whether he had any regrets over that. Was there a slight smirk when he replied, “Romney didn’t win, did he?” A piece in the Washington Post back in 2015 raises concerns about this. It is worth reading to establish an historical perspective. Allegations of the nature leveled against Kavanaugh are serious stuff, but there are enough questions being raised about the way those allegations surfaced that taint the entire affair. Anti-gun Sen. Dianne Feinstein apparently had knowledge of the allegations before the Judiciary hearings. She didn’t bring any of that up at the time. 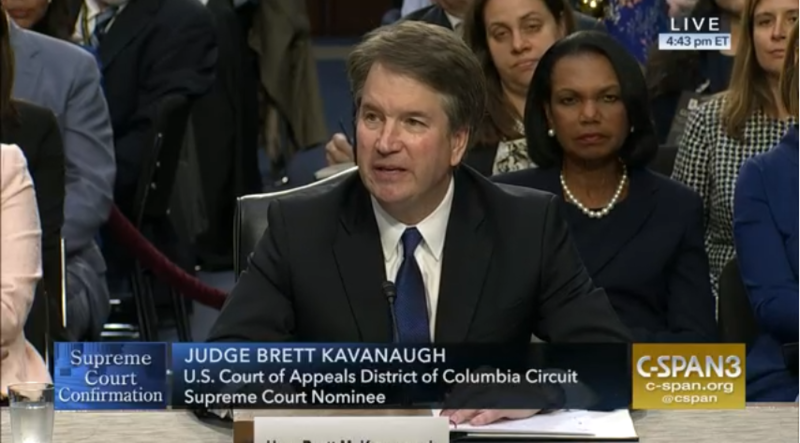 Critics are now suggesting that this post-hearings flap is the Democrats’ “Hail Mary” play to prevent confirmation (and thus deny President Donald Trump a victory). Feinstein’s office, and others, have reportedly been receiving threats. Back when the Obama administration could not get any traction for its gun control schemes, suddenly there came Operation Fast and Furious, as recalled by Gun Talk host Tom Gresham this week. As Gresham tells it, this was a gun running “sting” operation that justified some gun control moves by the Justice Department against retailers in four Southwest states. It made big headlines right up to the point when it was revealed that the whole thing was a debacle that had allowed thousands of guns to get into criminal hands in Mexico. Then coverage essentially vanished from mainstream media, save for an occasional story in the Los Angeles Times or Washington Post. But the story was kept alive by online journalists and bloggers, a couple of books and reports from the House Committee on Oversight and Government Reform, under then-chairman Rep. Darrell Issa. Only by keeping all of this in perspective does one get the suspicion, regardless how it may smack of tinfoil hats and black helicopters, that winning and advancing an agenda is more important than advancing a nation. Next articleDid Google Attempt to Manipulate Searches on Trump’s Travel Ban?